Polish Amor ♥: Gimme Some Glitter.... Pink Wednesday!!!! Pink Wednesday is here!!!! I have some layering today.. 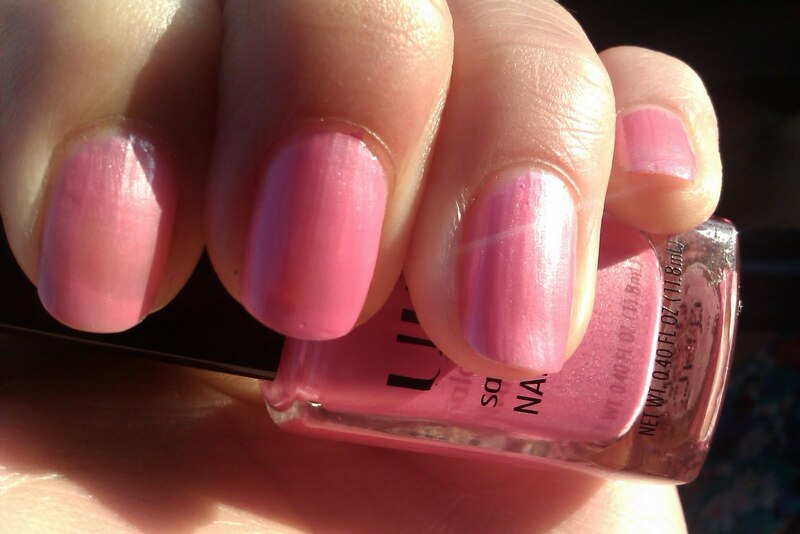 I started with one coat of ULTA Lilac Chrome which I got on sale for .99 cent wooohooo.. turned out to be a really cute pink!!! Then I used a layer of ICING glitter “Gimme Some Glitter”… it’s a really fine glitter, packed with a lot shine LOL I don’t know how to describe it, but it looks amazing w the sunlight, I can see pink, gold and blue… . Then I was going to cover the entire nail bed with China Glaze Cracked Concrete, but decided not to because I didn’t want to cover a lot of the pretty glitter :-P so I just did a few accent lines!!! I like how this came out….. I think I’m going to be doing all my crackles this week since there seem to be a pattern , this will probably run on to next week too since I do not change my polish everyday! 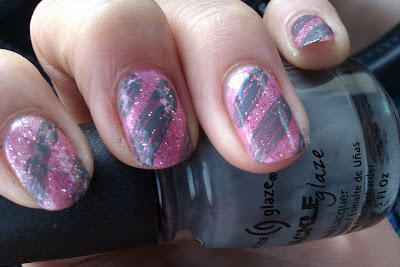 I like the stripy crackling effect you gave to your mani. I posted my first Pink Wednesday a few minutes ago too, lol. I never though to do the crackle nail polish in a stripe affect! Very creative! 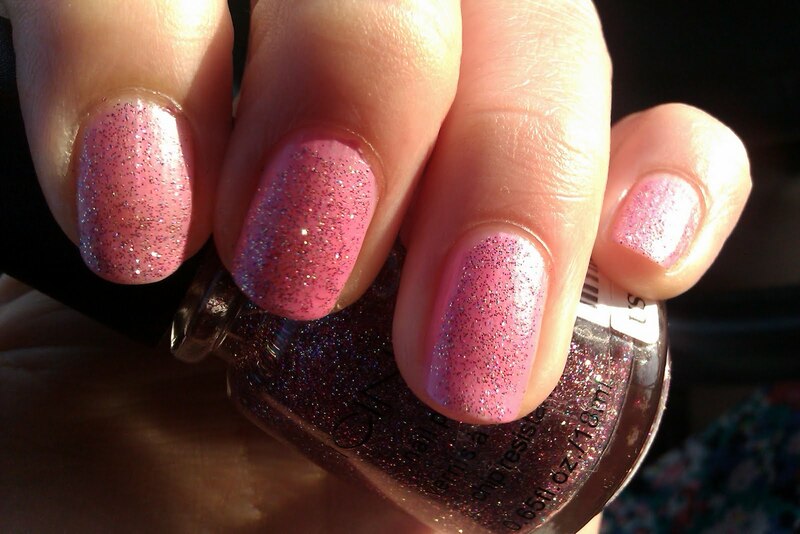 I love pink and grey together! It's beauuuutiful! the stripes/crackles design is a great idea!! 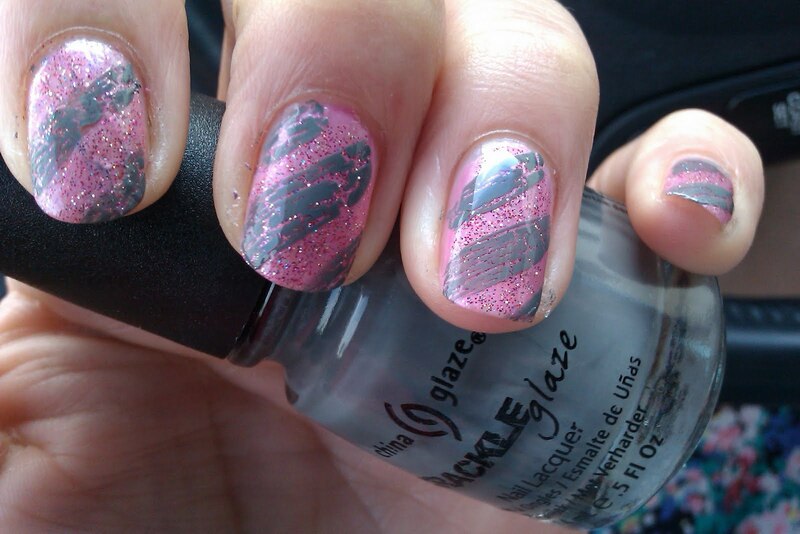 i love how creative you are with the crackle!